Thảo luận trong 'SACS SOFTWARE' bắt đầu bởi BigCrab, 16/6/18. The Collapse program has been enhanced to include the effects of both large rotations and large deflections. As a result, the program is now able to predict very large deformations. The Arc-length Iterative approach has been added to help predict unloading behavior at local and global limit points. An automatic sub incrementation scheme is included to improve the convergence rate and to avoid multiple runs. Automatic Stress Concentration Factor (SCF) Extraction – The Joint Mesh program has been enhanced to automatically generate a mesh and POST input file to be used to determine SCFs. The meshed joint is automatically inserted into the global SACS model which allows the user to include flexibility of the structure for SCF calculations. The SACS POST program has been enhanced to calculate the ‘Hot Spot Stress’ and SCFs. Precede has been enhanced to display ‘Hot Spot Stress’, nominal stress, and SCF labels. Hàng có link và thuốc chưa bác? Hiện tại mới có thông tin từ hãng như vậy, bản cập nhật cũng chưa phát hành nên nhiều khả năng phải đợi thêm vài tháng nữa. Thông thường như các năm trước thì bản cập nhật hàng năm được phát hành vào khoảng tháng 8. 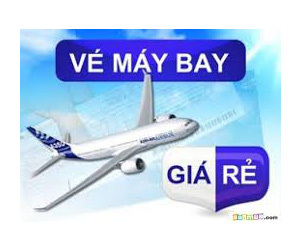 Đây là tin vui cho các anh em chạy bài toán Collapse. Mấy năm trước đây khi mình đề cập vấn đề phát triển tool convert từ model SACS và PSI để chạy Collapse trên USFOS thì Mr. Phil có nói ý là hãng đang focus phát triển module này để người dùng yên tâm chạy trên module Collapse và có lẽ đây là câu trả lời. Hy vọng là nó thực sự tốt để anh em đỡ vất vả. Defect: A crash has been fixed when a pile-soil super-element is input for Collapse Advanced analysis. Enhancement: Collapse Advanced now models the member end-releases using a special element to include large deformation of released degrees of freedom. For formulation details see Section 6.8 in Collapse Advanced User Manual. Enhancement: Added Sample 24. This sample contains many examples showing the collapse advanced capabilities. Enhancement: CollapseView now reads the SACS model input file alongside of Collapse Restart file. Defect: When choosing the Velocity check option in dynamic response, the values are all zero in chartvue. The issue is fixed to transfer all the values correctly to chartvue. Also Listing file units for velocity checks are now fixed. Defect: Fixed units for BS and OTM for periodic vibration analysis. Enhancement: Transient Reduction is added to omit initial transient time for Dynamic Super-element outputs. Defect: Fixed a typo in the Wave Load units in additional CSV files. Enhancement: More analysis details are added to the Dynamic Super-element listing file. Enhancement: Warning and error messages are revised for clarity. Enhancement: The wave elevation is added to Dynamic Super-element outputs. Defect: Fixed crash when number of wave load steps are very large. Enhancement: Dynpac is updated to handle footprint loads points as many as required. The 600 limit has been removed. Defect: Dynpac now prevents Footprint duplicate weight at member ends. Enhancement: Added option to read damage files from a particular range. Applicable to wind turbine process only. Defect: Re-enabled choice of Load for fatigue reports and plots launched from context menus. Defect: Fixed Problem finding the intersection of an intersection curve and another member when the intersection is near the start or end of the intersection curve. Defect: Member section line was not being included when meshing ring. Defect: Fixed bracing tubulars do not export correctly on update to ISM repository. Defect: Fixed UC label in Precede does not match UC in listing file when using the JO option. Defect: Fixed printing issue when Printing all views in Selected Bin to PDF. Defect: Fixed issue storing more than 30 views. Enhancement: Add soil liquefaction commentary to PSI manual detailing the equations and methods used. Enhancement: Added the ability to output a corroded model. New member groups, sections, and plate groups will be created for members and plates that are corroded. Defect: Seastate was updated to write out more significate digits to the OCI file on the MEMB line for density and effective OD when running a DYPAC analysis. Defect: Fixed crash when more than 20 dummy nodes were kept. Enhancement: Added option to include radiation damping for monopiles. Enhancement: Added option to skip initial transient time in time history analysis in WAVTIM line. Enhancement: Added option to enter seed for wind spectrum. Enhancement: Added option to enter five-digit seeds for wave spectrum. Enhancement: Added option to skip initial transient time in time history analysis in THIST line.